As a marketer or small business owner you know how important it is to grow your email list as a way to acquire more business. And even though, on average, people can send and receive up to 121 emails a day, email marketing still generates the biggest return on investment – up to 4,300% ROI. It’s the best form of communication between the business side and the consumer side. This means it’s a perfect platform to create a drip campaign to generate sales and more profits. 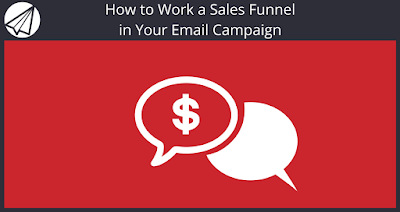 This drip campaign will be the start of your sales funnel, helping you turn warm leads into buyers. But, where do you start? We’ll go over the steps I took as a digital marketer and writer, to promote my freelance course, Write Your Way to Your First $1k. A popular method to get your product out there for the masses is to give away a free sample of it. For example, Haute Chocolate, a stock photo subscription site, offers two free photos for signing up to their newsletter. After signing up, you continue to get one free photo every month. By giving limited access to your product, it can entice subscribers to go ahead and purchase your full package. This can also convince subscribers that what you have to offer is credible, useful and of excellent quality. To help encourage sales of my freelancing course, I made a free six-day email course called Get Paid to Write Online. This gives subscribers a free bite-size version of my paid course. They can try it out, get to know my writing style, and see what I have to offer. And if the subscriber finishes the course and still needs more guidance, the next logical thing to do is sign up for my full, paid course. Other freelancers are doing this also. 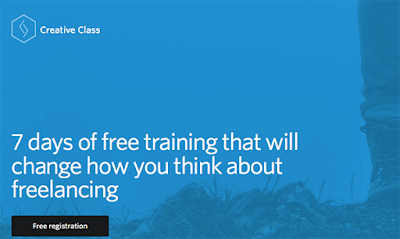 For example, creative freelancer Paul Jarvis has a free version of his full Creative Class course. And Brennan Dunn has a free nine-lesson course called Charge What You’re Worth that’s a lead-in to his paid course, Double Your Freelancing Rate. Having a sample lesson, course, or free access to a digital product like a plugin, a theme or stock photos as your lead magnet can dramatically help you promote your brand and increase your conversion rate. For you to really start earning a passive income from your products you need to have an automated system to make it happen. Sendlane’s automation set-up makes it easy to create a series of value-based emails and pitch emails that relate to your lead magnet. You don’t want to give away too much valuable information or else subscribers won’t need to buy your course, product or digital product. You also shouldn’t constantly pitch them your product or services as this can turn off subscribers and generate a high unsubscribe rate. So, what’s the right balance between value based-emails and pitch-based emails? If you decide to do a welcome series for your free sample or an actual course like I did, you’ll want to space out your pitch emails. Mariah Coz of Femtrepreneur has a free 10-day Build a Profitable Blog course and she soft pitches her upgraded course, Your First 1k, on days three, five, seven and then her final email is a hard pitch for her paid course. For me, while my course material spans six days, my subscribers actually get a series of 10 emails. I unlock a sample lesson from my course on day one and day six. On day seven I have a hard pitch where I break down my full course and explain the benefits to upgrading. Subscribers are then given three in-depth guides spaced over three weeks as a way to provide more valuable information and to make a deeper connection with me. Even if you don’t have a course, you can still provide value-based emails and pitch-based emails. For example, Melyssa Griffin of The Nectar Collective offers a library of eBooks and worksheets as her lead magnet. She pooled all her content upgrades, bundled them, and offered access to her private Facebook community for her lead magnet. Over a series of emails she provides case studies from her Pinfinite Growth course and value-based tips to help grow your business. As people, we like completion. We avoid incomplete tasks and whenever possible we strive to complete something before moving on. A Russian psychologist, Bulma Zeigarnik, discovered in the 1920’s that the human brain doesn’t like incomplete tasks. We keep thinking about these incomplete tasks until they are finished. This has been termed the Zeigarnik Effect and it’s a powerful marketing tactic for product development and advertisement. For your sales funnel you can incorporate this psychological effect in different areas of your campaign. An effective way to increase open rates is to pique the curiosity factor of your subscribers. For example, copywriter Neville Medhora sends out emails with cliffhanger titles that make you want to find out what he’s talking about. 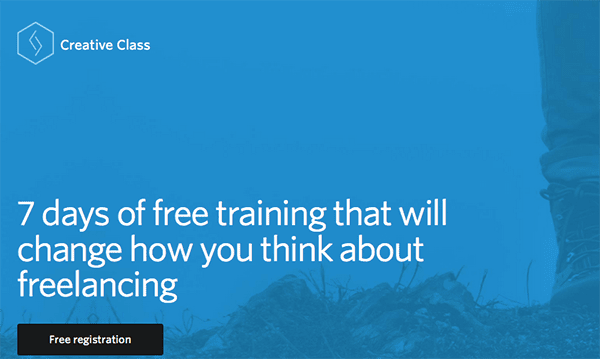 To entice your subscribers to open your free course lessons or pitch emails, try creating a cliffhanger, or up the curiosity factor in your email subject line. Typically in an automated email series, open rates decline over time. To encourage a healthy open rate, you can follow Grammarly’s email marketing campaign and show visual progress cues to your subscribers. 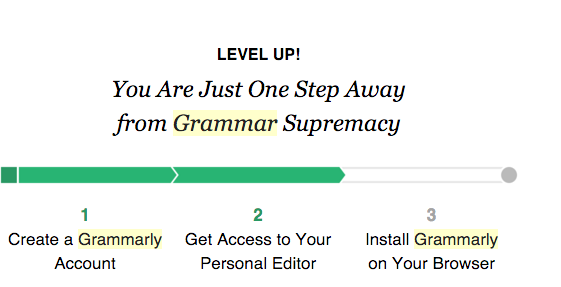 Grammarly sends out weekly emails showing a progress visualization to let you know how you’re doing with their product. Retaining your customers is just as important as acquiring leads. They are the ones who bought your product and they are the ones who might one day vouch for your product and become loyal customers. To nurture this relationship, have a follow-up system in place. For example, whenever someone buys my course, I manually email him or her a thank you from my personal email account (not automated) and invite the new buyer to our private Facebook group. Sure, this takes a few minutes of my time and is hardly what would be called passive. But, it shows that you truly value your customers – people feel they made a purchase from another person that cares about their success (I really do) and not just a faceless business. Another way to follow up is to always be accessible. Whether it’s on Twitter or through a Facebook group, being available can help delight and retain your customers. Having an automated drip campaign is the perfect backdrop to your sales funnel. You can strategically create value for your subscribers while also pitching to them periodically. From creating a lead magnet that relates to your product to using a fundamental psychological tactic to finally setting up a plan to retain your customers, email marketing can be the perfect method to generate long-term sales. Over to you – have you thought about how you will create your sales funnel in your email marketing campaign?